The SIRT Users' Network (SUN) welcomes a new partnership with the British Nuclear Medicine Society (BNMS). The BNMS is a registered charity that was originally established in 1966 as the Nuclear Medicine Society. It is the only independent forum devoted to all aspects of nuclear medicine, clinical practice, education, research and development of nuclear medicine within the UK. "The BNMS is an important organisation for so many of the health professionals involved in planning and delivering SIRT treatment safely and effectively. We are delighted that they have agreed to be an official partner to SUN. Many of the SUN members are also members of the BNMS. In recent months, we have been extending our communications and cooperation with several professional and membership organisations connected with SIRT. This closer relationship with BNMS is an ideal addition to our growing partnership base." Adding SIR-Spheres® Y-90 resin microspheres to first-line chemotherapy for patients with unresectable metastatic colorectal cancer in the liver (mCRC) further extends Progression-Free Survival in that organ. New data from the SIRFLOX study presented at the European Society for Medical Oncology (ESMO) 17th World Congress of Gastrointestinal Cancer (WCGIC) has shown that patients with unresectable metastatic colorectal cancer (mCRC) that has spread only to the liver experienced the greatest improvement in Progression-Free Survival (PFS) in the liver from the addition of SIR-Spheres Y-90 resin microspheres to a current first-line chemotherapy regimen. New findings were also disclosed regarding the impact of bevacizumab in the chemotherapy regimen used in the SIRFLOX study. In both groups – the 292 patients who had an intention to treat using bevacizumab in addition to first-line mFOLFOX6 chemotherapy, and the 238 who did not – the addition of Y-90 resin microspheres resulted in a statistically significant 8.3 month delay and 31% reduction in the risk of disease progression in the liver (hazard ratio 0.69). The clinical benefit of adding Y-90 resin microspheres to first-line chemotherapy appears to be independent of the use of bevacizumab. The clinical benefit observed was accompanied by an acceptable level of adverse events resulting from the addition of Y-90 resin microspheres to first-line chemotherapy in mCRC. Summarizing the impact of the new SIRFLOX findings, Prof. van Hazel commented that, “Even in the absence of a statistically significant improvement in Progression-Free Survival at all sites, as was the case in SIRFLOX, and even as we await overall survival data from the combined 1100-patient SIRFLOX, FOXFIRE and FOXFIRE Global studies in 2017, these new pre-planned sub-group findings for PFS in the liver should lead oncologists to consider adding SIR-Spheres Y-90 resin microspheres to first-line chemotherapy. BSIR logoThe SIRT Users' Network (SUN) welcomes the BSIR as an official partner. The BSIR is a charitable foundation which promotes and develops the practice of Interventional Radiology. As SIRT is delivered by skilled interventional radiologists, many of the members of SUN are also members of the BSIR. "We are pursuing ways in which we can increase our communication with professional organisations involved with all aspects of this important new treatment. BSIR are a natural partner and we are delighted that they have accepted our invitation to partner with SUN. We look forward to a close working relationship with BSIR to improve SIRT treatment for patients with cancer. Our members and their patients can only benefit from this new alliance." The BSIR maintains the online SIRT Registry which is actively collecting data on SIRT for primary and secondary liver tumours. The Registry also enables the NHS to assess and evaluate SIRT patient outcomes as part of the Commissioning through Evaluation programme. "BSIR is delighted to collaborate with the SIRT Users' Network to support patients and clinicians in improving the quality of patient care." The following release was issued by SUN yesterday following the annoucement by NHS Wales that SIRT will now be available through Commissioning through Evaluation in Wales for the first time. 7th October 2014. NHS Wales has announced today that life-extending Selective Internal Radiation Therapy (SIRT) will be made available to eligible patients in Wales with liver cancer that has spread from the bowel or for patients with bile duct cancer. NHS Wales has confirmed that Wales will join the Commissioning Through Evaluation (CtE) process to enable access for patients to SIRT and provide central funding to support this. SIRT is the first treatment to be funded in Wales through the new NHS 'Commissioning through Evaluation' policy that is hoped will improve the availability of cutting-edge cancer treatments. Access to SIRT in Wales was previously only available if it was paid for privately or if an application was made for its use under exceptional circumstances, a process that could take many months and was unacceptable at a time when patients may only have a short time left to benefit from treatment. Following a widespread review by NHS Wales, SIRT will now be available for the first time on the NHS for eligible patients. Patients in South Wales will be treated at the University Hospital Wales in Cardiff and arrangements have been made for patients in North Wales to be treated at the Christie Hospital in Manchester. Mark Drakeford AM, Minister for Health and Social Services, confirmed the adoption of CtE in Wales and said, "I am delighted to announce the extension of CTE to Wales for SIRT for patients with liver tumours. In February, I agreed that the NHS in Wales would join the Commissioning Through Evaluation process to enable access for a small number of patients to SIRT and provided central funding to support this. Agreement has been reached for NHS Wales to participate in the programme and patient assessment for SIRT will commence this month. The Christie Hospital in Manchester is the selected SIRT centre meeting the commissioning though evaluation criteria for North West England and North Wales." The decision has been widely welcomed by clinicians and patient groups. 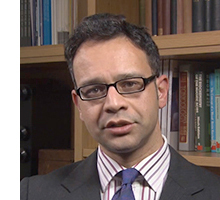 Professor Ricky Sharma, Consultant Clinical Oncologist and Chair of the SIRT Users' Network (SUN), commented: "We are delighted that patients in Wales will now have equal access to this important treatment. As an Oncologist, I have been referred several patients from Wales over the past year who have been denied funding for this treatment because they live on the other side of the border. It has been an emotional time for those patients and their loved ones, as well as for the medical teams trying to access the best treatments for them. This announcement is a very big deal for Welsh patients with bowel cancer or bile duct cancer and their families." Dr Richard Adams, Consultant Clinical Oncologist in Cardiff said, "This is a very welcome announcement and patients in Wales with bowel cancer that has spread to the liver will now be offered this innovative treatment for the first time at a stage when few other treatment options are available to them. I am delighted that patients in South Wales will be treated in Wales". "This is tremendous news for cancer patients and their families in Wales", said Andrew Langford, Chief Executive from the charity The British Liver Trust. "We are delighted that NHS Wales has extended CtE to Wales to enable eligible patients to benefit". Treatment with SIRT will be available to eligible patients in Wales by referral from their local specialist consultants. SIRT will only be funded for patients where all other routine approaches, such as surgery and chemotherapy, have been tried or have been poorly tolerated. [i] Seidensticker R et al. Matched-pair comparison of radioembolization plus best supportive care versus best supportive care alone for chemotherapy refractory liver-dominant colorectal metastases. Cardiovasc Intervent Radiol 2012; 35; 1066-1073. [ii] Bester L et al. Radioembolization versus standard care of hepatic metastases: comparative retrospective cohort study of survival outcomes and adverse events in salvage patients. J Vasc Interven Radiol 2012; 23: 96-105. Newly published European Society for Medical Oncology (ESMO) clinical guidelines for the treatment of metastatic colorectal cancer (mCRC) endorse radioembolisation, specifically with Yttrium-90 resin microspheres, as a clinically proven technology to 'prolong time to liver tumour progression' in mCRC patients who have failed to respond to available chemotherapy options. The new guidelines, authored on behalf of the ESMO Guidelines Working Group by Professors Eric Van Cutsem (Leuven, Belgium), Andres Cervantes (Valencia, Spain), Bernard Nordlinger (Paris, France) and Dirk Arnold (Freiberg, Germany) were published online in a 4 September 2014 supplement to the Annals of Oncology. "In patients with liver-limited metastases failing the available chemotherapeutic options, radioembolisation with yttrium-90 resin microspheres can also prolong the time to tumour progression"
Published in 2014 - Ann Oncol (2014) 25 (suppl 3): iii1-iii9. The SIRT Users' Network is being launched today by the University of Oxford, in association with its partners, Sirtex Medical, the British Liver Trust, Beating Bowel Cancer and the NIHR Oxford Biomedical Research Centre. The network has been established in response to SIRT (Selective Internal Radiotherapy) becoming available for the first time for national commissioning on the NHS. SIRT is the first therapy available in the UK through NHS England's 'Commissioning through Evaluation' process (CtE), which allows clinicians to provide SIRT to eligible patients on the NHS. SIRT is available through CtE in England and Scotland in 11 specialist cancer centres, which is an important advance in the delivery of specialist services currently available in the UK. The SIRT Users' Network is a web-based network open to all clinicians and scientists involved with delivering this treatment to patients. Members of the network work in a variety of clinical disciplines (oncology, interventional radiology, imaging, nuclear medicine, medical physics, pathology and surgery). For the first time, these diverse specialists can come together in an online forum to share best practice, clinical experiences, patient information and to organise SIRT masterclasses and workshops. "This is a very exciting time for all clinicians involved in offering SIRT to patients with cancer. There are a number of clinical disciplines that have to work together harmoniously to deliver the best SIRT service to patients. This new network represents the first opportunity to bring all these clinicians together to share knowledge, best practice and outcomes across all the centres involved in SIRT in the whole of the UK. The key aim of the network is to benefit patients. We hope the network will help us all to work together, clinicians and patients, to improve outcomes." "This network is a great testament to the skills, expertise and dedication of a wonderfully talented group of clinicians who have worked for years with SIRT patients and who have strived to make SIRT more widely available to UK patients a reality in the NHS. I pay full tribute to their success. Sirtex is dedicated to improving patient outcomes and the launch of the SIRT UK Network is an enormous and important step in that direction. We are proud and privileged to be a partner in this important initiative." SIRT, also called 'Radioembolisation', is a method of treating malignant liver tumours, whether those tumours originate from the liver itself, or have spread to the liver from elsewhere in the body (e.g. bowel cancer). SUN has an academic focus, and is independent of commissioning and service considerations. The SUN website has a secure "members' only" discussion forum to allow clinicians to hold private and secure exchanges of views on all aspects of the SIRT procedure and clinical issues. The site also provides freely available resources for clinicians and patients. The 10 centres will provide Selective Internal Radiotherapy (SIRT) to around 220 patients a year as part of a time-limited programme called 'Commissioning through Evaluation'. This approach provides an opportunity for patients, who are deemed clinically suitable, to access SIRT - a treatment which shows significant promise in terms of improving quality of life - but is not accessible through a formal research trial. "This is a very exciting development for those patients who can potentially benefit from treatment with SIRT, and for those clinicians who wish to contribute to the growing evidence base supporting this treatment. NHS England is committed to expanding access to all forms of specialist radiotherapy, and we await the outcome of this innovative commissioning programme with some anticipation, as is it will help us determine how best to deliver these important, and life-saving, services to patients in the future".